Tehran, Aug 30, IRNA - Royan Research Institute's 18th Congress on Reproductive Biomedicine and 13th Congress on Stem Cell Biology and Technology started work in Tehran on Wednesday with participation of domestic and foreign researchers. The four-day twin congress underway in Milad Tower in west of the Iranian capital has selected five research plans out of total 239 ones sent to the secretariat of the scientific event from 45 world countries, secretary of the Royan congress told the Islamic Republic News Agency (IRNA). 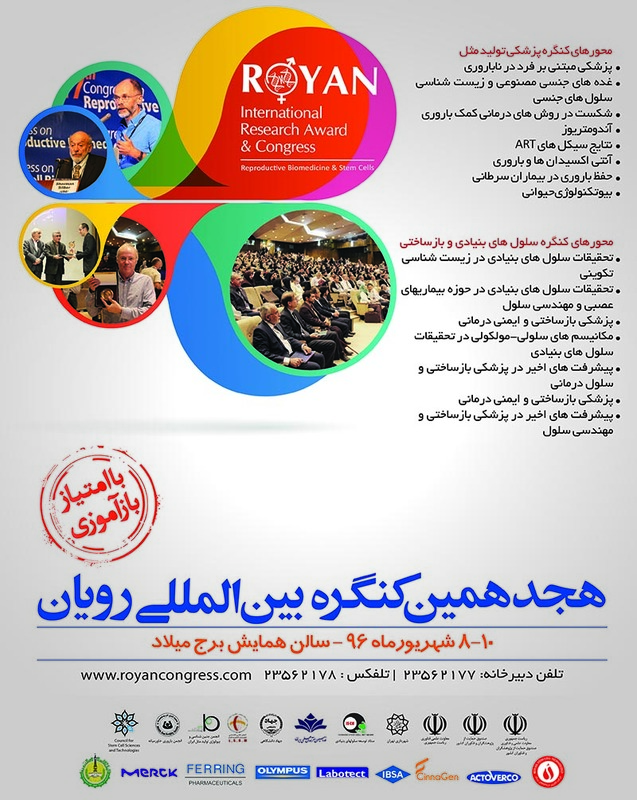 Parvaneh Afsharian said that most of the research plans which have been dispatched to the Royan congress are respectively from India, Italy, China, US, Japan, Germany, Iran, UK, Spain and Australia. Development of joint plans and declaration of the latest scientific findings are among the aims of the Royan event, Afsharian added. She further hoped that the grounds would be prepared for developing the plans.